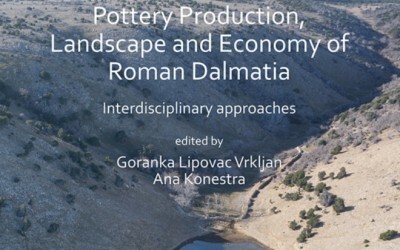 Within research on pottery production in the province Dalmatia, besides analysing the remains of the technological process (workshops, kilns) and products (pottery, amphorae, ceramic building materials), it is necessary to evaluate the location of such installations within a certain landscape, and in relation to the nearby settlements and urban centres. 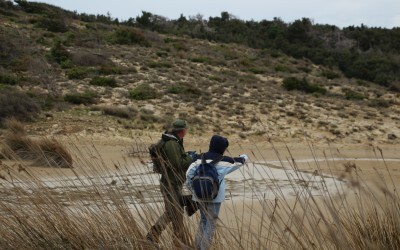 The ideal situation in which production remains are located in the immediate vicinity of other ancient structures is that of Podšilo bay at Lopar on the island of Rab. 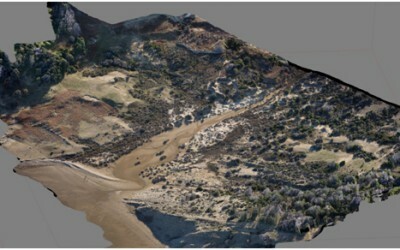 But, apart from defining the indicators of the possible locations of certain features of these sites, no conclusions on their characteristics were possible. 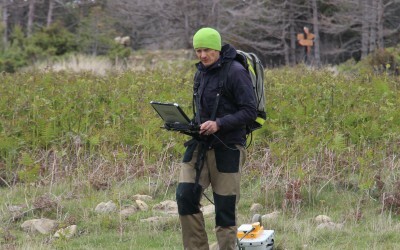 Thus, it was decided to approach further research by means of non-destructive geophysical measurements and minimally invasive drillings aimed at preliminarily confirm and check results obtained by geophysics. 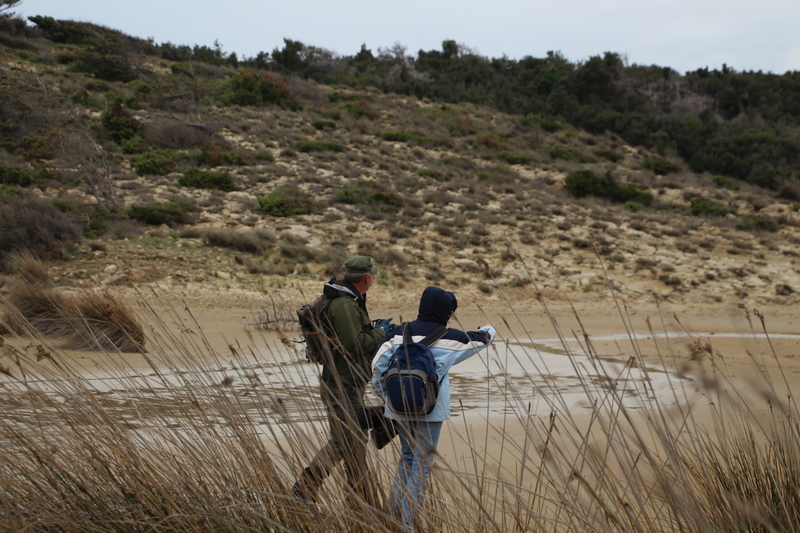 The activities were carried out from 24th to 27th April 2016 in cooperation with dr. F. Welc from the Institute of Archaeology of Cardinal Stefan Wyszynski University in Warsaw and R. Mieszkowskim from the Faculty of Geology of the University of Warsaw. 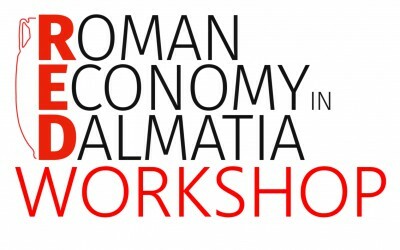 From project’s RED team Goranka Lipovac Vrkljan PhD and Ana Konestra participated at the campaign. 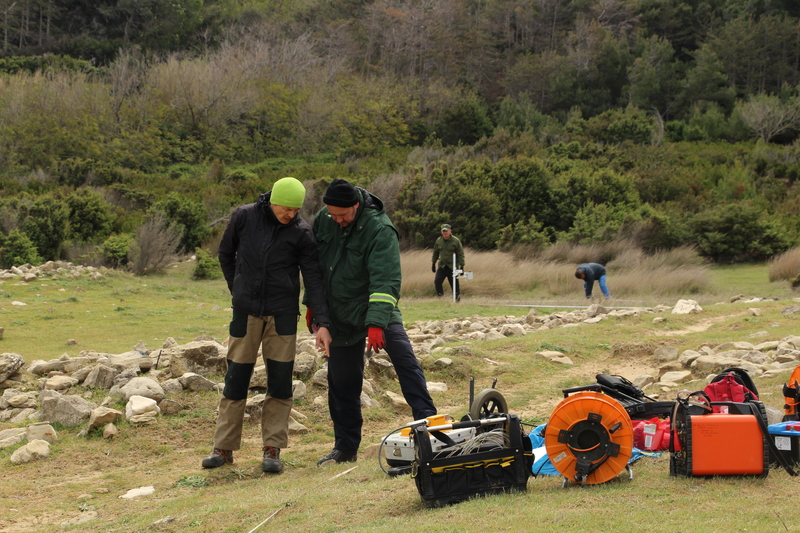 For the measurements two areas within the bay were chosen, characterised by the toponyms Beli grad and Podkućine, on which archaeological indicators – finds and structures – had been recorder during previous surveys. 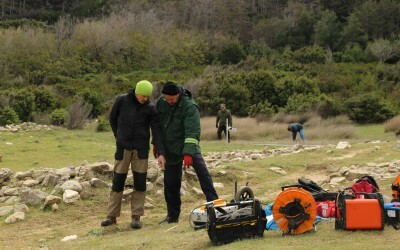 Geophysical survey was carried out using gradiometer, ground-penetrating radar (GPR) and Electrical Resistivity Tomography (ERT). 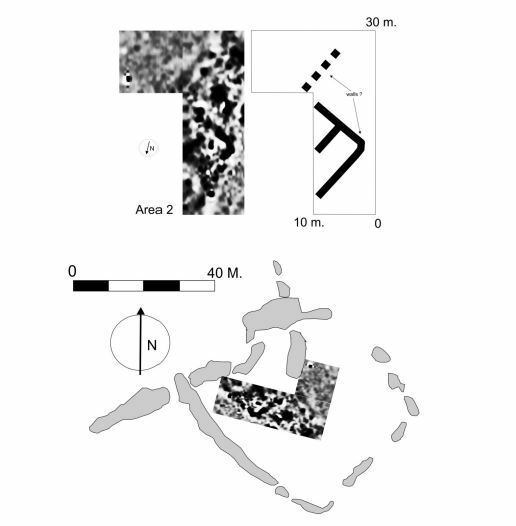 Of the five areas where measurements were carried out, results indicated the presence of ancient structures in two: one on Podkućine (area 4.) 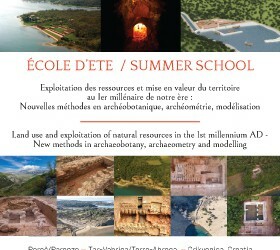 and the other on Beli grad (area 2). The other area of a certain interest is area 5 (below Podkućine). 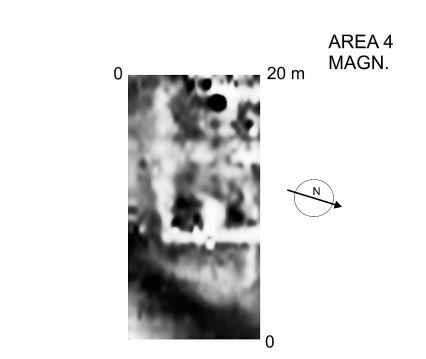 On a terrace (area 4) located on the southern slope of the bay, characterised by intense erosional processes, magnetic, GPR and ERT surveys reveal the presence of a sub-rectangular architectural structure ca. 15 × 12 m in size, with wall remains at 0.4–0.6 m depth. Its interior is subdivided by transverse walls into smaller rooms. 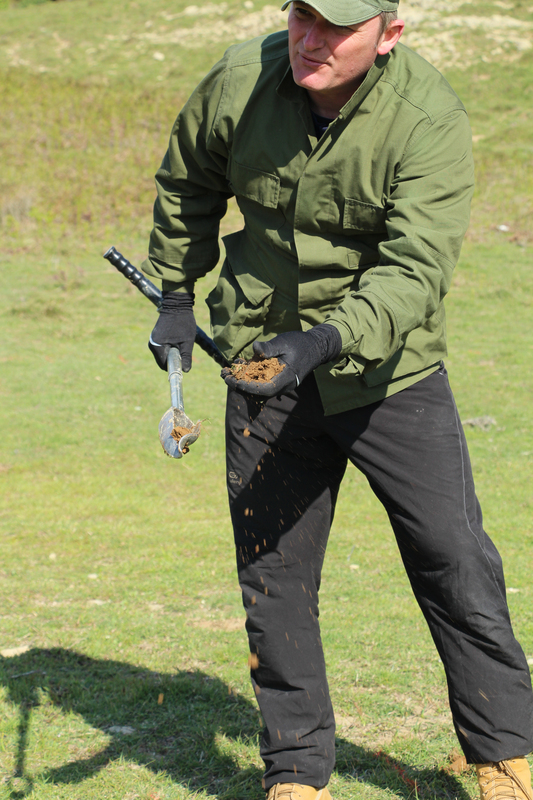 In the western part of the study area a shallow trench (or small slope) running north-south was recorded. The other area of a certain interest located in this part of the bay is area 5. (to the east of area 4) where the possible demolition debris and faint remains of a building could be located. 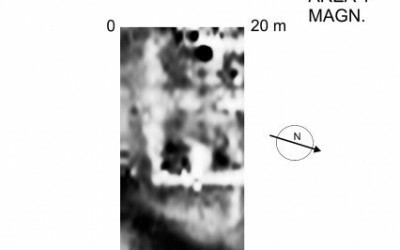 In area 2, located within the drystone strcture visible in the area know as Beli grad, Gradiometer measurements have revealed a series of strong positive anomalies which should be interpreted as shallow buried walls or foundation trenches. 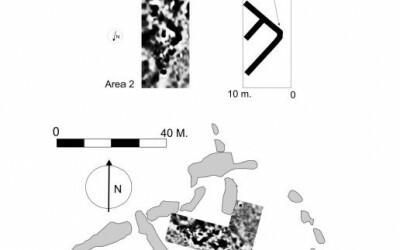 They clearly mark a segment of a regular structure with longer walls oriented running NW-SE. 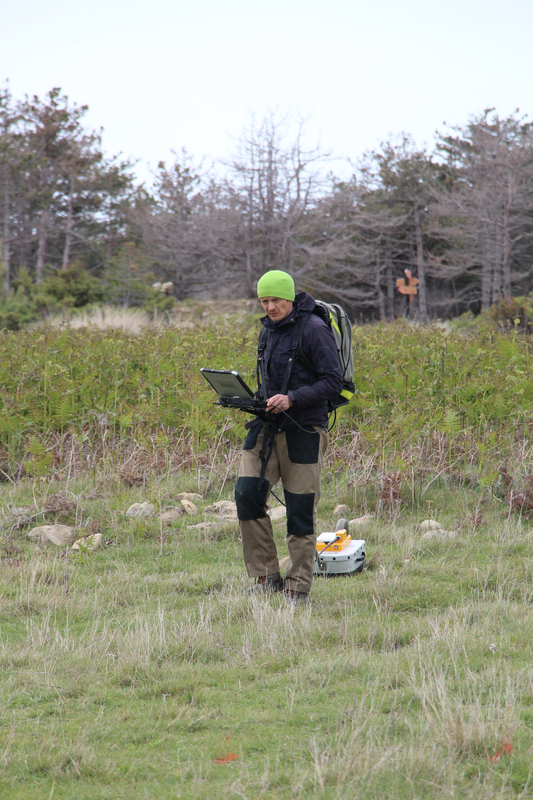 Results of magnetic measurements were supplemented by GPR profiling and also confirmed by ERT soundings. 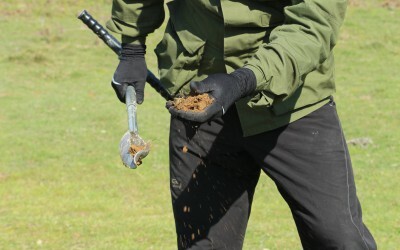 More detailed results are available here and here.